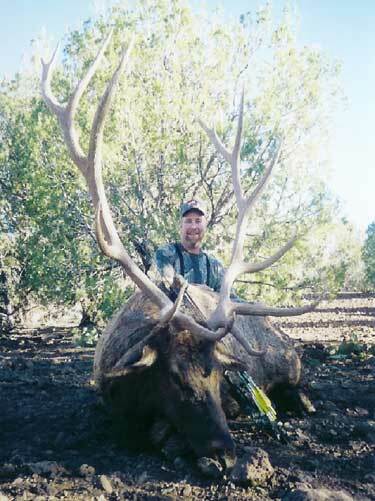 Roy Hampton from Lehi, UT took this 331 bull in Arizona in 2003 with his P.S.E. Bow. Awesome bull roy. Az is the land of the giants. I was born and raised in Payson and i’m currently putting together a collection of photos to post on numerous sites. Having hunted in Az you can vouch for me when i say that without a doubt the state has the biggest bulls on the face of the planet. Awesome pic, get out and get another. way to go, some day i would love to go elk hunting it hast to be great.